Measure from the clips on your drapery rings to the floor, referring to the measuring diagram on this page. If using rings with clips for installation, measure from clip to the floor. 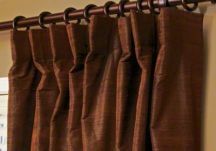 Clip top drapes provide a relaxed and casual look and can be decorative or functional and are hung from clips (not included). With the clip top style, the top of the drapery is hemmed with a light stiffening fabric. 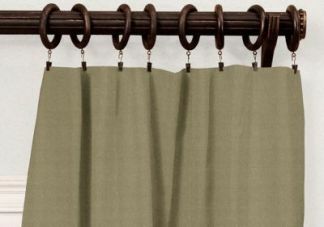 Choose from a variety of fabrics to coordinate your clip top drapes with your decor.